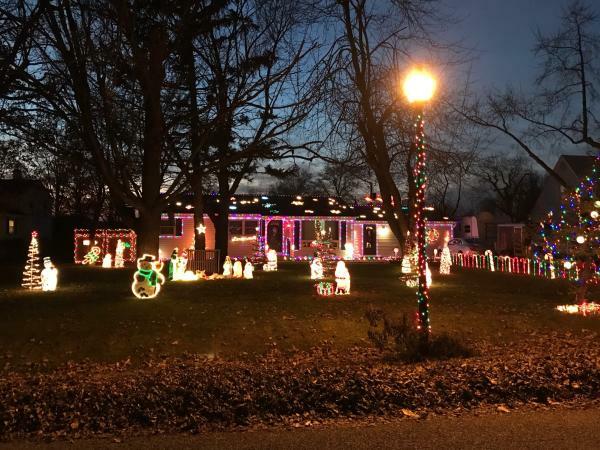 Celebrate the season, and take advantage of Fort Wayne’s annual list of Crazy Christmas Houses. Plus, build the perfect holiday weekend and find all of the holiday events at CurrentFortWayne.com! 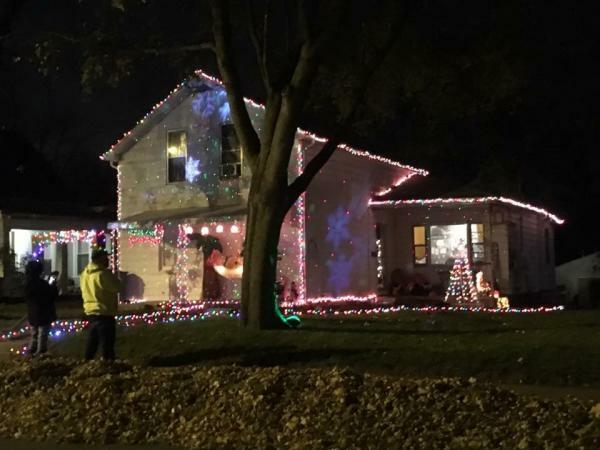 Don&apos;t have time to visit all of the beautiful displays in Fort Wayne? Although, all of the displays have done an excellent job of decorating, discover some of our can&apos;t-miss displays! Downtown Fort Wayne, from fun holiday window displays to classic decorations there is something for everyone! 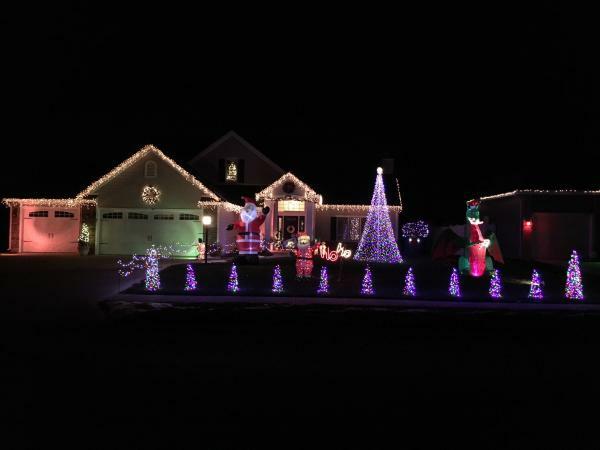 12215 Bufflehead Run, enjoy this display that is set to synchronized music and 64 programmed channels. 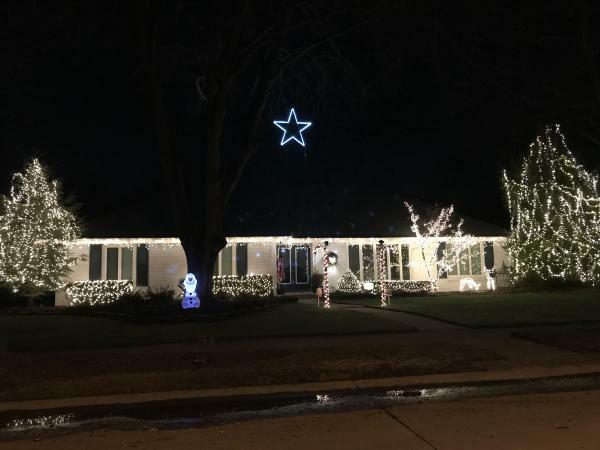 1211 Willowind Trail, this display does an excellent job of keeping it classy and having aesthetically appealing decorations/design. 13525 Plumbago Court, not many houses can say they have their own social media channels, but 13525 Plumbago Court can. 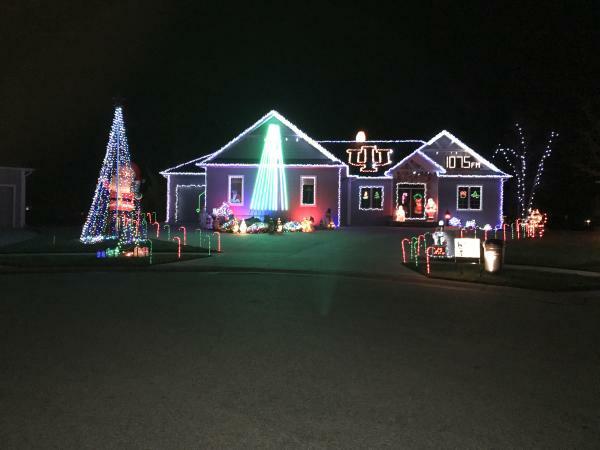 721 Pelham Drive, from blow-up displays, lights covering everything, and a mailbox collecting letters to Santa, this house has it all! 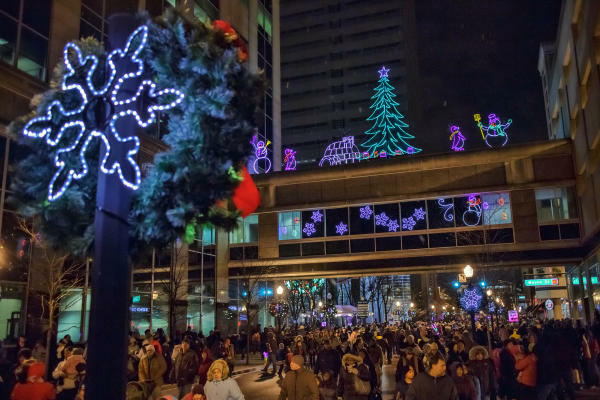 Start your Christmas Light Display adventure in downtown Fort Wayne, the epicenter of holiday displays! 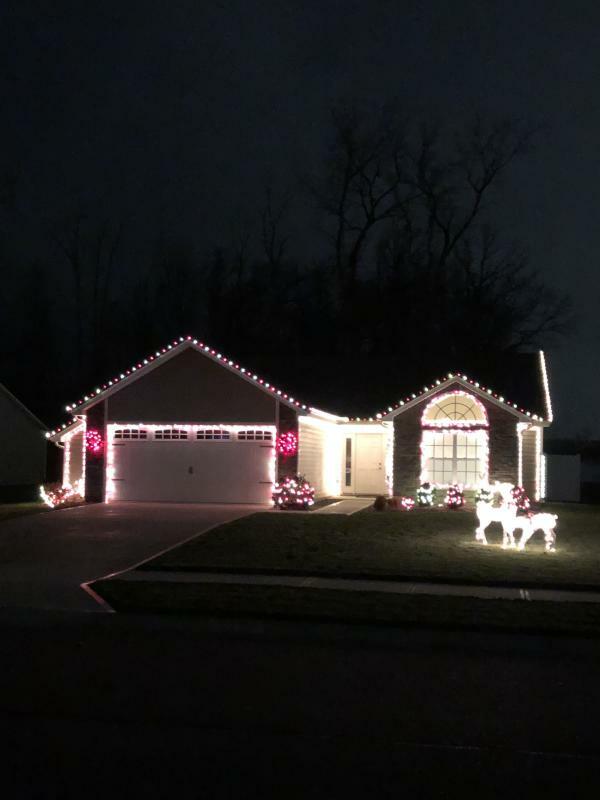 From Santa and his Reindeer on the PNC Building at Main and Berry to the Merry Christmas Wreath at the Indiana Michigan Power building, there are fun holiday displays around every corner. If you have time, don’t forget to stretch your legs and wander the downtown streets enjoy many of the window displays, which you can vote on at this link. Discover this display that adds items daily. Thank you to Jamie Hogle for submitting! While Santa was bathing on Christmas Eve, the decorating elves did decide to leave! The show not done, the lights barely up, they went on strike because of an empty cocoa cup! 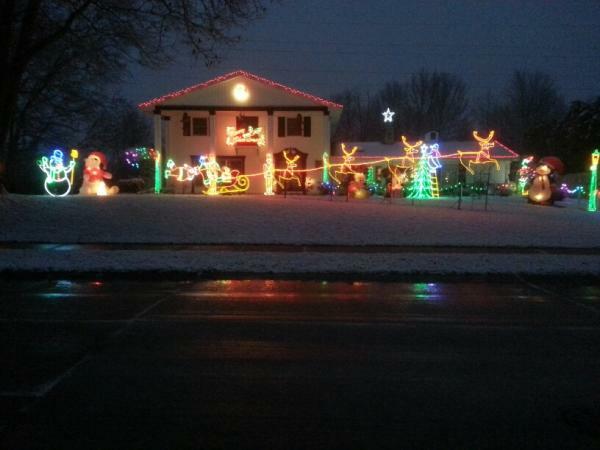 So Mr. Snowman and Mrs. Claus tried to finish the fun, but still were unable to get it all done. 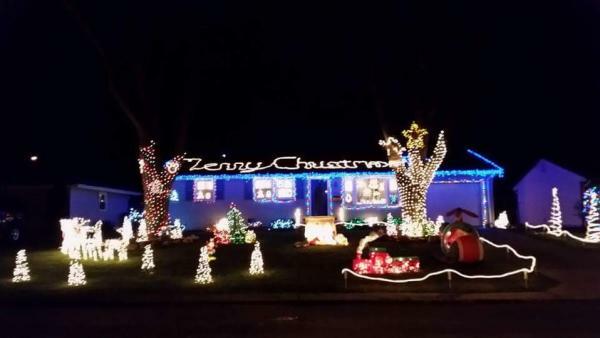 So the show is smaller, but in a new way nice, and Santa&apos;s electric bill will be half the price. Thank you to Ed Heinkel. Enjoy starting at dusk for 6 hours. Special thanks to Melanie Koch for submitting. Thank you to Jared L. for submitting. Special thanks to Deb Kessler for submitting. Enjoy this display, but please remember to drive slowly as kids are present. Special thanks to Alex Richardson for submitting. 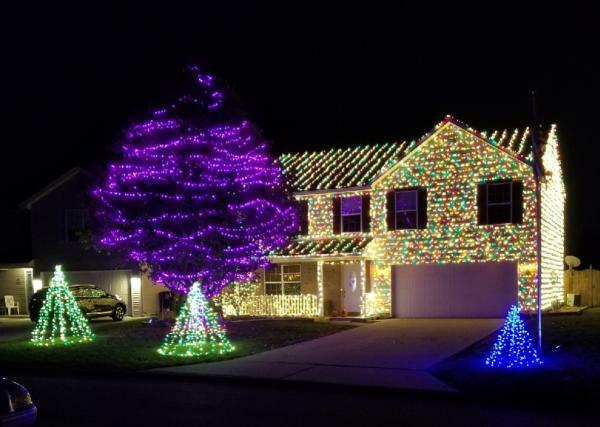 Expect to see around 30,000 lights. 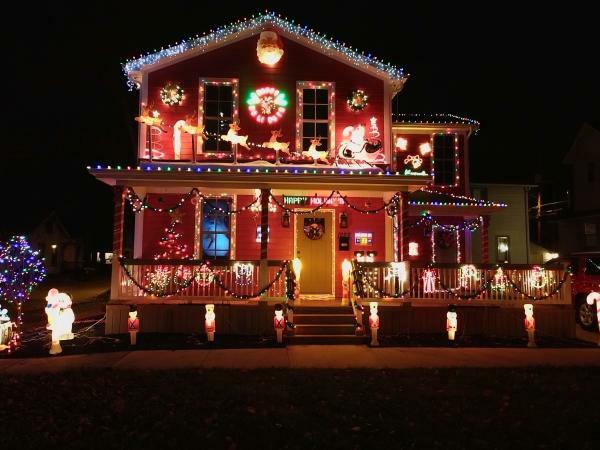 Plus, make sure you see all four sides of this decorated house. 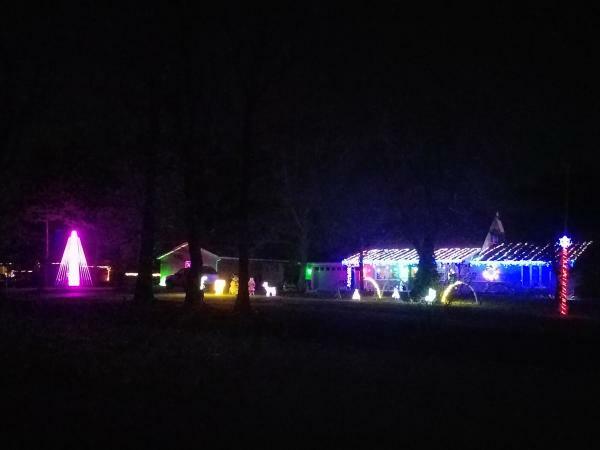 These lights will be on display from 5:00 pm-1:00 am, and 5:00 am-8:00 am through January 3. Special thanks to Mary and Joseph Fortman. 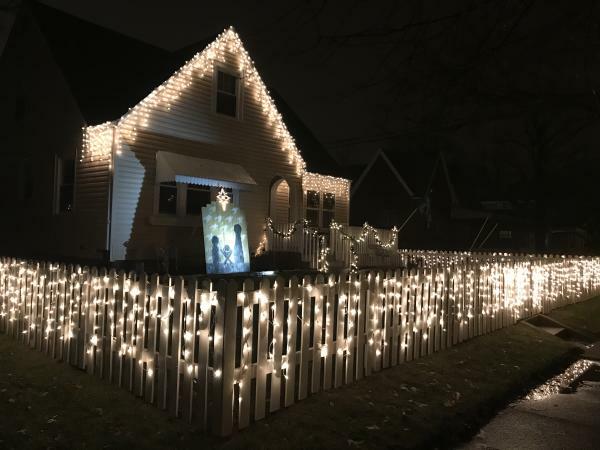 Expect to see over 25,000 LED lights covering this house, which has taken from October until now to install with help from friends and encouragement and support by Becca and Philip. Special thanks to Ryan Dirschell. Special thanks to Joe Kougias for submitting. Nothing says Christmas like a dragon and Star Wars characters - special thanks to James Andis. 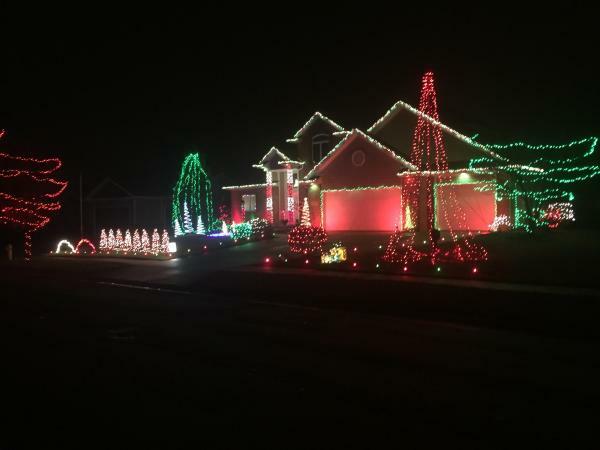 This display will feature over 7,000 lights! Special thanks to Josh Jewett for submitting. Enjoy this display from 5:30 PM to 10:30 PM. 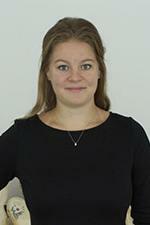 Special thanks to Holly Glentzer. 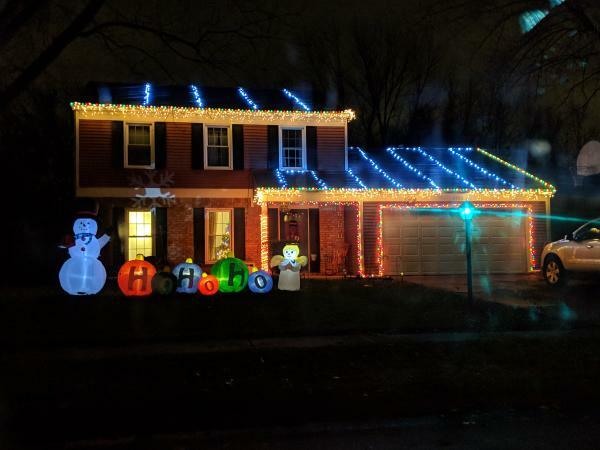 This cheerful display will feature 2000+ lights, three LED projectors, a color-changing tree, three inflatables, and lights from the inside of the home showing outside. There is something for everyone to enjoy! Special thanks to Sean and Caelis Hoyle for submitting. 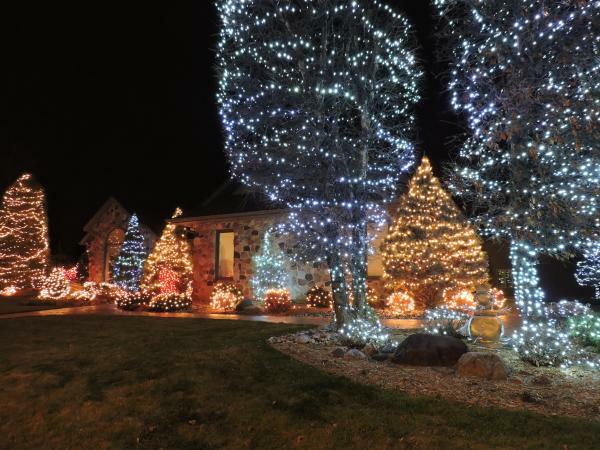 Expect to see nearly 15,000 lights, displays synchronized to 5 songs music on radio station 101.3, a 20-foot mega tree. Find more information and hours at https://www.facebook.com/LightingUpLeo/. Special thanks to Joshua Robison. Special thanks to Jim Hannie for submitting. 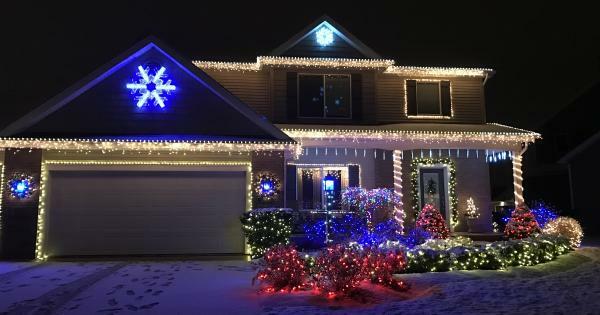 This light display has it all. Enjoy a display that is set to music - turn your dial to 97.7. Plus, there is a huge nativity scene that also plays the story. According to CJ this display is so much fun and different than any other shows, and there must be over 30 songs and includes audio movie clips. Cool. 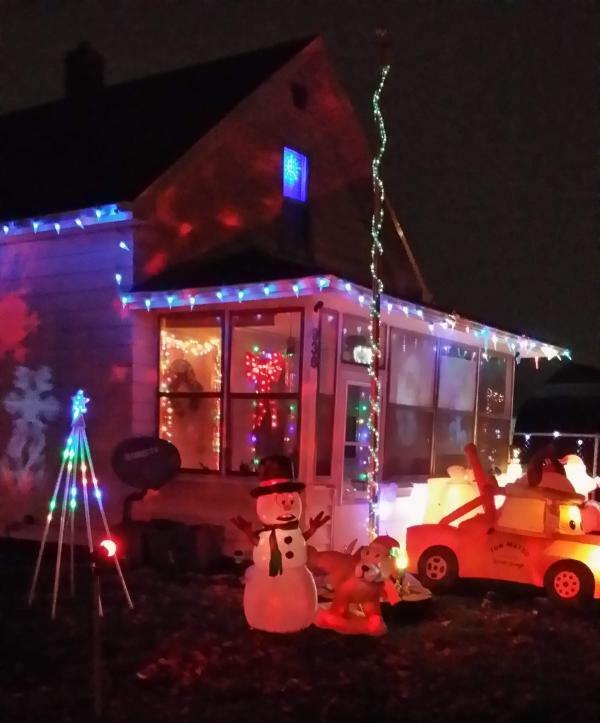 Expect to see a sizable wooden nativity, lights synchronized to music set to 88.1 FM. 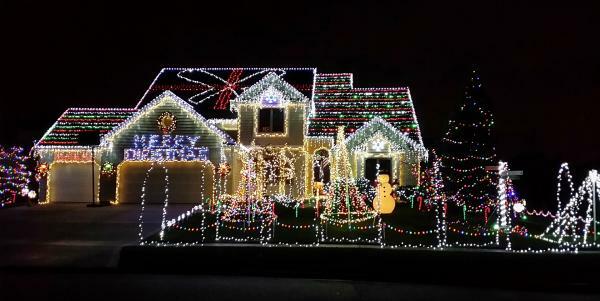 This display is located in the back of the Classic Heights sub-division. 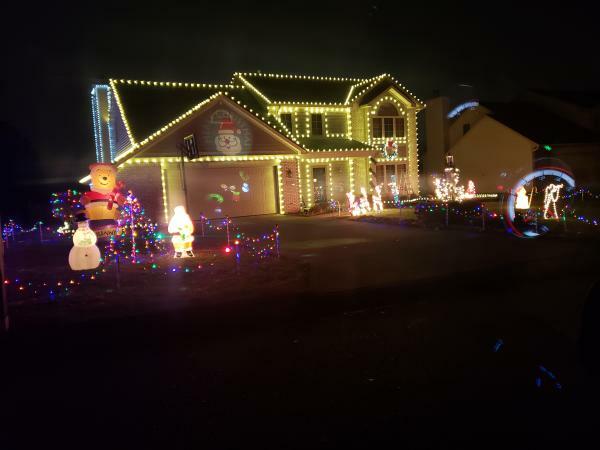 The HOA usually does a decorating contest, so many houses in the addition are decorated, making for a nice drive as you wind your way back to the display house. Special thanks to Ron and Beth Clemens. 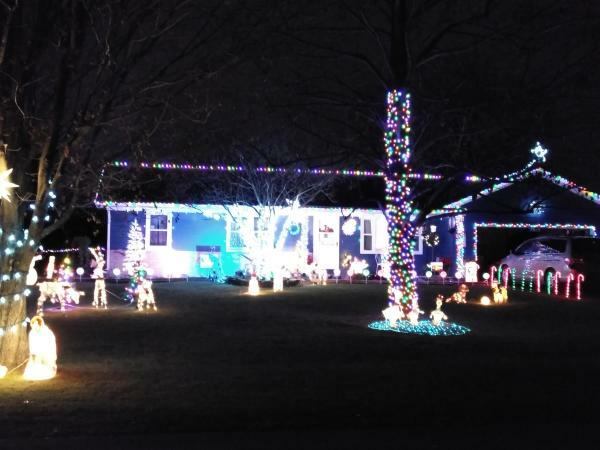 Expect to see 45,000 lights, and alternating displays between musically timed and solid. Plus, this display is viewable from Union Chapel. Special thanks to Jason Grossnickle. **This house is currently not at full capacity, but expects to be back up in running in the next week or so! Special thanks to Lowell and Carrol Lepper. Expect to enjoy a full size animated LED-lit displays. 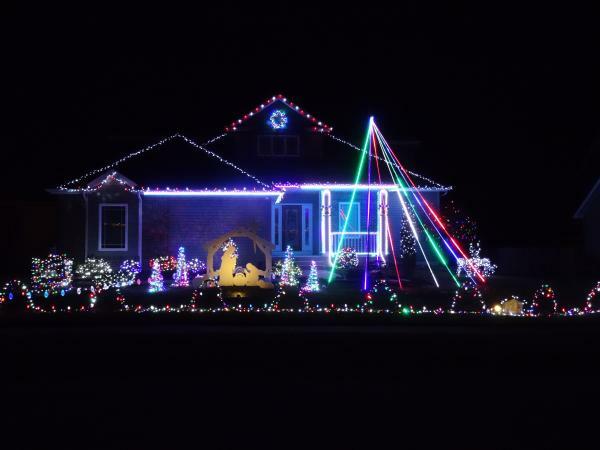 Highlights include Santa chasing after his sleigh and reindeer as they take off without him. Special thanks to David Brown. 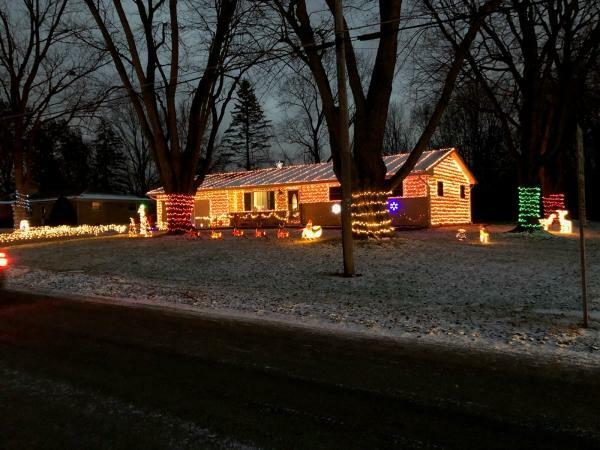 Enjoy 25,000 lights and be sure to tune your radio to 107.7 for a special show. Show runs until New Year&apos;s Eve from 5:00 PM to Midnight. Special thanks to Jacob’s Well Church and Adam Gaines. Discover the magic of Canonero Lane with this display made of classic decorations! Special thanks to Chris Roberts. 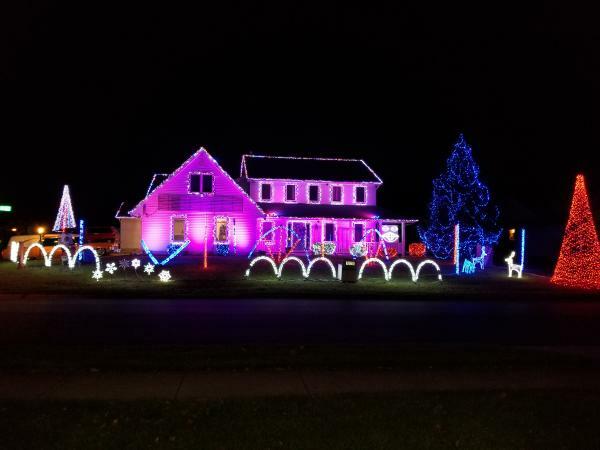 This beautiful display features amazing lights and a virtual Santa! Special thanks to Brendan Mensch. 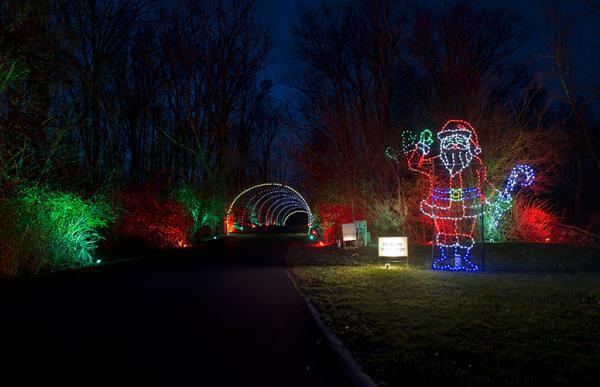 Enjoy seeing more than 20,000 lights, blow-up displays, and more. 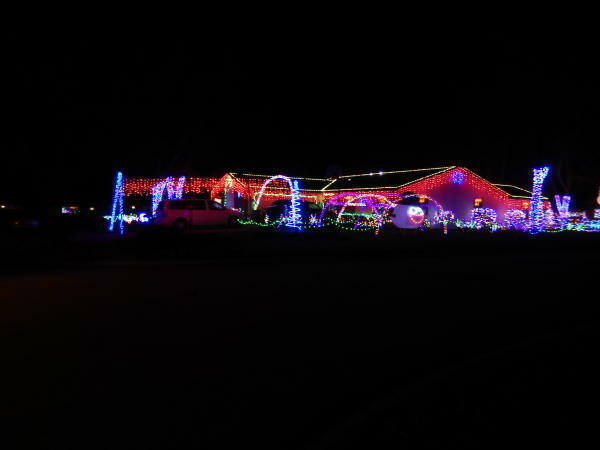 Plus, tune your radio to 97.7 to enjoy the light dance set to music. If you have little ones, make sure to bring a letter to Santa with your return address. Special thanks to TJ and Joan Smith. Special thanks to Doug and Chris Mounsey. This display touts a really awesome LED pixel show. These lights are all synced to music that is able to be heard in your car or even on the sidewalk if you choose to walk. Tune in to 94,5FM to hear the show. The show also showcases 4 singing light bulbs that sing to the music. Thank you to Brett Barnett for submitting. 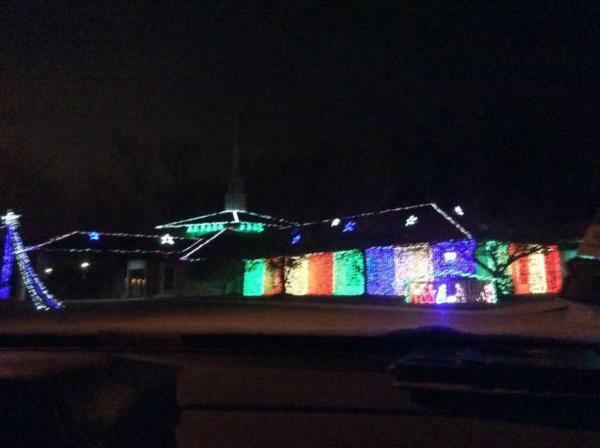 Enjoy this display Monday-Friday & Sundays from 5:30 PM - 10 PM, and Saturdays 5:30 PM - 11 PM. Special thanks to Doug Houser for submitting. 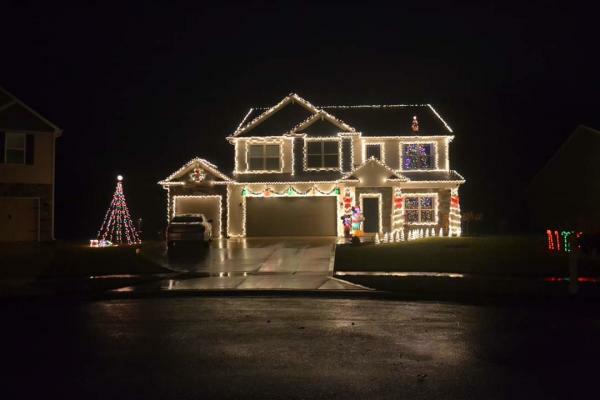 This house will have around 50,000 lights an 18ft tree and a 12 ft tree! Tune in to 88.5! Special thanks to Jason and Jodie Pearson. 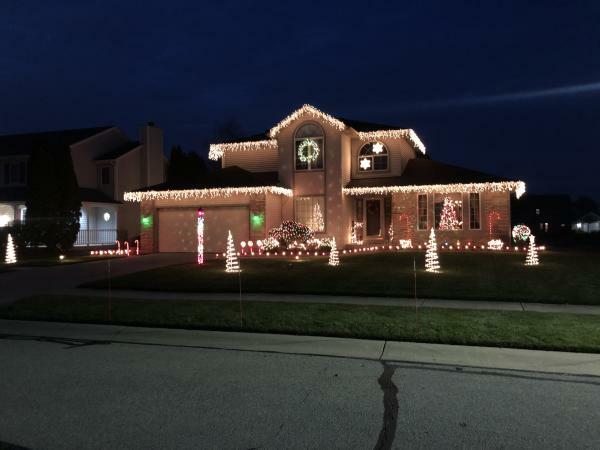 This display will feature red and white strand lights covering a majority of the house including the roof, and sides of the house. Special thanks to Chris Pendarvis for submitting. 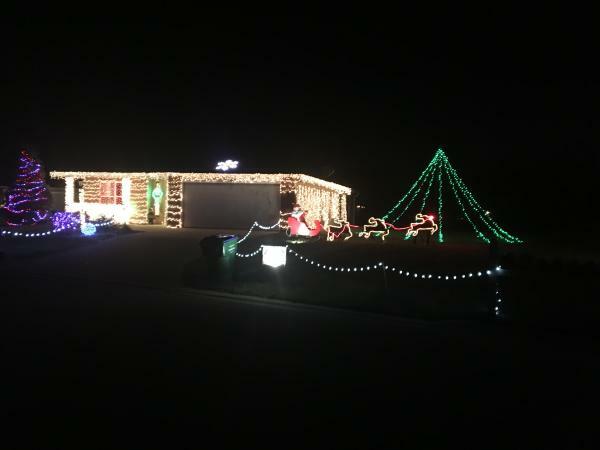 In addition, to the beautiful display, this house will be accepting donations of men’s socks for the Shephard&apos;s House. Plus, weather pending, there might be some hot chocolate nights. Special thanks to Kurt and Sherry Girardot. 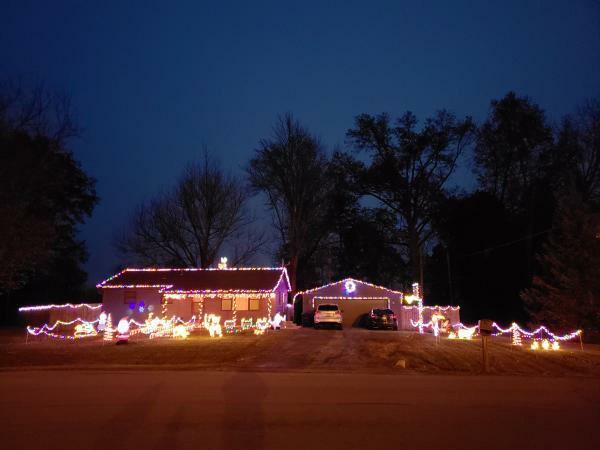 This house will feature over 18,000 lights, all set to music with shows running from 6:00-10:00 daily, be sure to get there for the start as Clark W Griswold himself gets things started every day. Tune your car to 89.7 to listen along with the show. 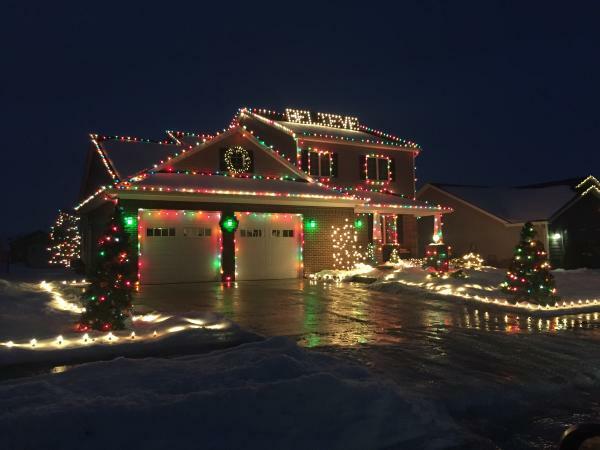 The display features a 20-foot tall tree, a custom built sleigh for Santa and intelligent lights that cover the entire house. Special thanks to Mike Hunsche. If you visit this house, make sure to bring some canned goods to donate to the Community Harvest Food Bank. Learn more about this display on its very own social profiles! Special thanks to Kris and Missy Girardot. This display is available from dusk until midnight daily. Thank you to Zack Cronkhite for submitting! Enjoy this display from 5:00 PM to 11:00 PM. Plus, tune your radio to 87.9 to enjoy the show and drop off your mail for Santa (all letters with a self-addressed and stamped envelope will get a response from Santa!) Santa checks the mailbox from the Friday after Thanksgiving to DEC 18, so he can make sure all letters get a response before Christmas. Please note, cars will need to turn around at the barn. Special thanks to Mike Bedwell. Special thanks to Brian Potts. Enjoy this display from 5:30pm to Midnight. Special thanks to Joel and Logan Bianski for submitting. 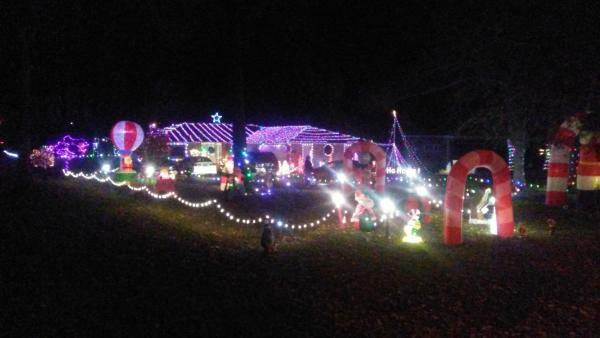 This display will feature over 8,000 lights, blowups, blow molds, unicorns, and pigs! Thanks to Clayton Bishop for submitting. 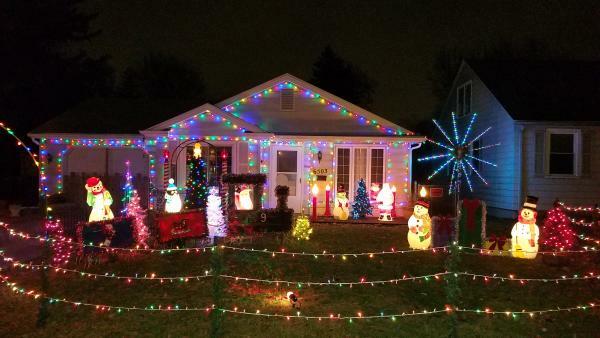 Enjoy 12 inflatables, two Nativity scenes, seven Christmas trees, five reindeer, a snowman on the roof, and 7,000 lights in one display! Special thanks to Carla Hanson for submitting. Special thanks to Brian Melton for submitting. 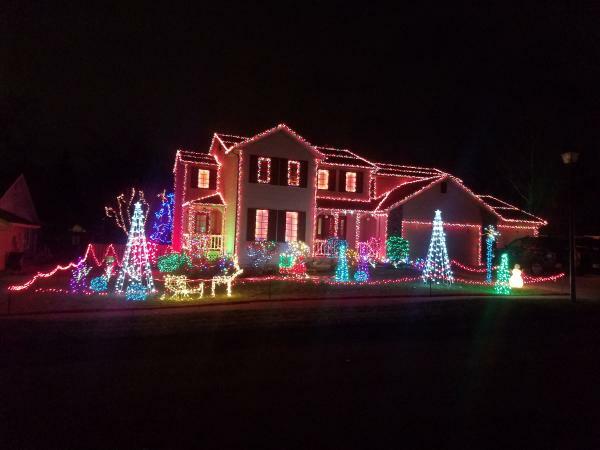 Enjoy over 20,000 lights and a display that is bigger and better than last year! Special thanks to Brandon McClain. Special thanks to Ami and Robert Prugh for submitting. Enjoy this display every night from 6:00 PM to 10:00 PM until December 26. Special thanks to Matthew and Amanda Maple for submitting. 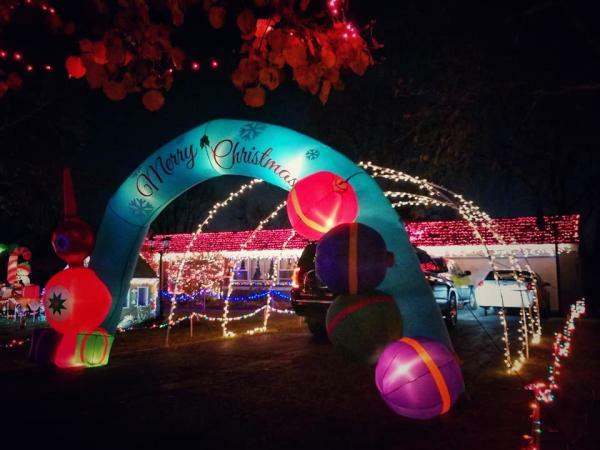 Another beautiful spot is driving through the Fantasy of Lights at Franke Park! Or even walking around Jefferson Pointe, and the beautiful "Victorian Christmas" exhibit at the Botanical Conservatory. 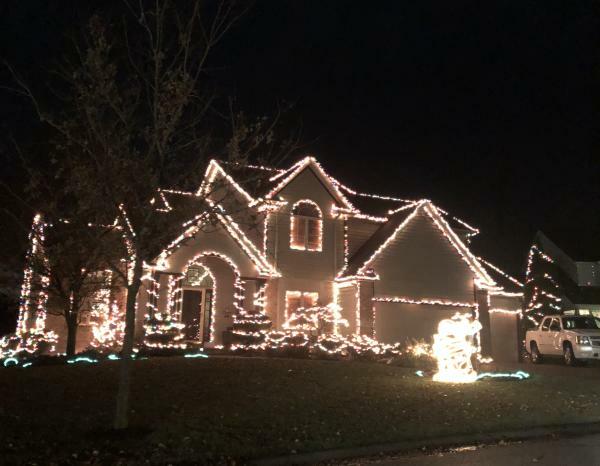 We realize this still isn&apos;t all of the beautiful Christmas Light Displays, so if your house or you know of a house that should be added to our list, please fill out this form and we will add them the list! *Special thanks to Heather S. who has helped us start this great tradition! *Post will be updated with submitted displays on Thursday. Looking for some fun holiday activities to enjoy with your family? Discover thousands of Fort Wayne&apos;s great events at www.CurrentFortWayne.com! If you&apos;re hosting friends and families during the holidays, check out these useful tools that Host Them Here provides to Fort Wayne residents!